DRS is hosting the fourth annual Education and Outreach EXPO Oct 4th 10:00 am – 4:00 pm and Oct 5th 9:00 am – 3:00 pm at the Oklahoma School for the Blind in Muskogee, OK. The EXPO is open to the public including all DRS employees, potential employees, DRS consumers, educational and medical providers, community partners, advocates, parents and students. Services offered by the various DRS Divisions and their partners will be highlighted, providing the public with information on issues faced within the disability community. Educational workshops relating to disability awareness will be offered. Training credits and CEU’s will be available. The EXPO celebrates more than 80 years of providing services to individuals with disabilities. 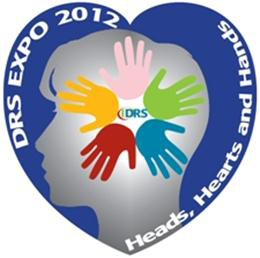 Theme for the 2012 DRS EXPO is “Heads, Hearts, and Hands”. Expo updates including sponsor/exhibitor and participant registration links will be placed on www.okdrs.org homepage by August 13th.